Rephost Review 2019: Is Rephost a Good Hosting? RepHost is an Italian company based in Rome. It offers shared and dedicated web hosting along with domain registration. RepHost offers budget solutions for your web presence through its shared web hosting plans. For those who need more resources, better performance, and higher data security, it offers the ultimate enterprise solution in the form of its dedicated hosting packages. This company also offers domain registration. Although RepHost’s service page also mentions VPS servers and system consultancy services, the corresponding buttons to check plans and learn more don’t work, which makes me wonder if these plans are still on offer. 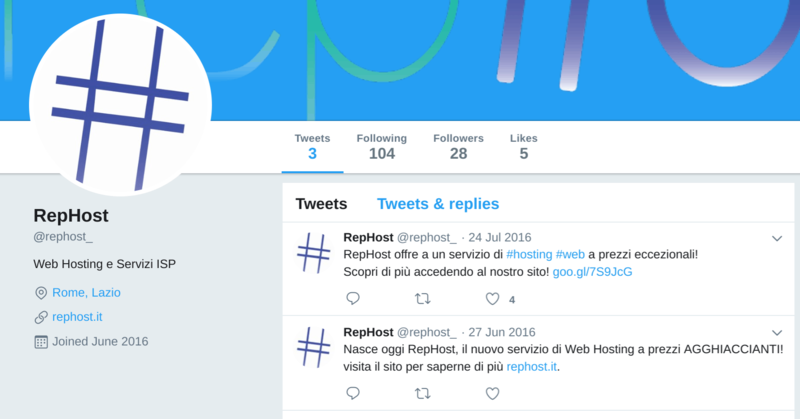 RepHost’s website is in Italian. RepHost provides its prospective customers with a choice of three shared hosting plans: BASE SHOWCASE, EASY REPHOST, and TOP REPHOST. It also offers three dedicated hosting plans: PERSONAL, BUSINESS, and ENTERPRISE. This company also provides disk mirroring for safe data storage, and Cron jobs for scheduling tasks, plus support for more than 200 applications including WordPress, Drupal, and Joomla. RepHost guarantees server uptime, but the level is not clear. While one web page mentions a 99.9% server uptime SLA, another page promises guaranteed 99% web services functionality. RepHost’s cheap shared hosting plans are ideal for getting started with your personal website or small business blog, or progressing up to something bigger for medium-sized businesses. Shared hosting plans are priced monthly in euros but must be bought on an annual, biennial, or triennial basis. Since there are no discounts for longer terms, and there is no money-back guarantee to get you out if anything goes wrong, there really is no incentive to sign up for longer than a year. There are no publicly published self-support resources, but I can’t rule out the possibility of some kind of knowledge base sitting in the customer area that requires you to log in. If you’re looking for low-price shared and dedicated hosting, and you don’t mind signing up for at least a year, you might be attracted to RepHost’s annual hosting plans. Get affordable annual hosting from Rephost! Wondering how Rephost stacks up against other Web Hosting companies? Enter any other Web Hosting company and we will give you a side-by-side comparison.